We offer a residential delivery service in East Central Scotland but we also specialise in the bulk distribution of print to hotels, bars, restaurants and coffee shops as far afield as Glasgow, Dundee, Stirling and the Scottish Borders. We have almost 20 years experience in publishing and local distribution, and have represented the interests of some of the country’s leading businesses in the field of distribution. Some of our current clients include Network Rail, BAM Nuttall, ESPC, I-on Magazine, The Skinny, The List, Historic Scotland, Knight Frank, University of Edinburgh, Tarmac, Babcock Rail and the City of Edinburgh Council. We also work on seasonal projects like the Edinburgh International Film Festival and Edinburgh Festival distributing various programmes and Fringe review guides. 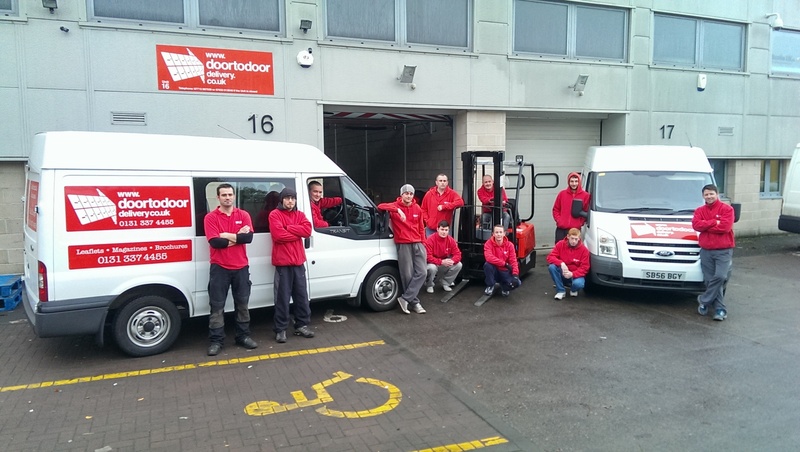 We employ 9 staff and are based in a large camera controlled secure warehouse on the fringes of Edinburgh’s City Centre, minutes from Murrayfield Stadium. With storage racking for more than 50 pallets, a forklift, a fleet of GPS tracked vans including long wheel base Transits, crew cabs with 6 seats and even a 4×4 pick-up, we have the necessary infrastructure in place to deal with any request. We also support the Scotland wide distribution of Artmag. While we are not physically fulfilling these deliveries we are managing the distribution process for the publisher, supplying the systems, database support and hand-held devices, instructing third parties to carry out the drops. Whether you already have experience of leaflet or magazine distribution or are thinking about it for the first time, please get in touch. We’d be happy to talk through your requirements and offer you the benefit of our knowledge and expertise. 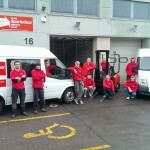 Lots of companies claim to offer great service but give us a chance and you’ll see just how attentive we are. We’re fully committed to our clients and take total control of any project leaving you to get on with running your business. We’re full of great ideas and innovative suggestions – give us a call!